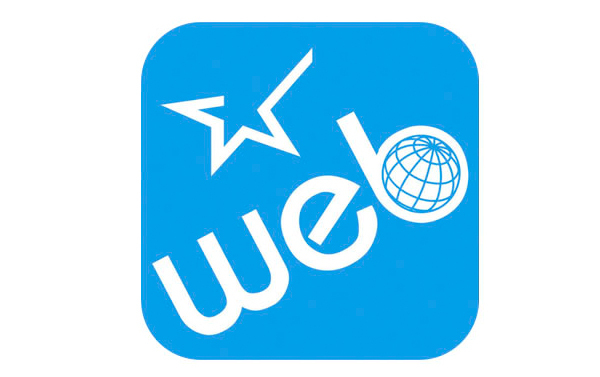 Star Micronics presents its WebPRNT technology to support businesses adopting client/web-based systems for point of sale. Web-based services are becoming more commonplace in point of sale as businesses streamline their operations and create mobile friendly environments for their customers. Star Micronics delivers WebPRNT, an innovative technology enabling device-agnostic receipt printing technology that supports HTTP requests used in web-based applications. WebPRNT eliminates the need to install drivers or download software. 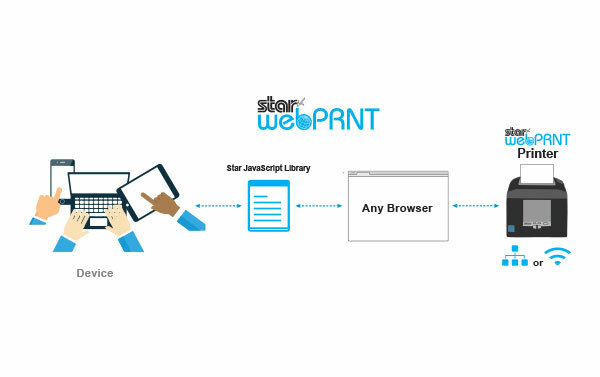 WebPRNT enables printing from any local device histing a web-based or native application to any Star WebPRNT enabled printer. Competitvely priced. WebPRNT enables printing from any application compatible with all operating platforms without the need for expensive multi-platform development costs. Star's TSP650II WebPRNT offers fast, reliable thermal receipt printing from web-based point of sale systems. It is ideal for high traffic retail locations where speed and reliability are essential for business. Easy to integrate, Star's WebPRNT technology makes customer receipt printing from a web-based application a snap. Star's SP700 WebPRNT is specifically designed to function in the kitchen where hear and humidity can erose the type on a printed order. This fast, two-color printer offers crisp, easy to read type for quick viewing, clamshell design for easy paper loading and an embedded power supply for space efficiency. With WebPRNT technology, the SP700 WebPRNT can support restaurants using a web-based application to provide a seamless transition from front of house to back of house operation. Star's TSP700II WebPRNT is ideal for servicing label printing in a variety of applications ranging from date labels on prepared foods at a local deli, to price labels in a retail boutique. The TSP700II WebPRNT supports 2D barcodes, PD417 and QR codes. With WebPRNT technology, the TSP700II WebPRNT makes label printing for a web-based application fast and easy. Star's TSP800II WebPRNT is ideal for wide format printing of receipt and invoices requiting a large quantity of information. The TSP800II WebPRNT eliminates the need to install drivers or download software and enables printing from any local device hosting a web-based or native application.